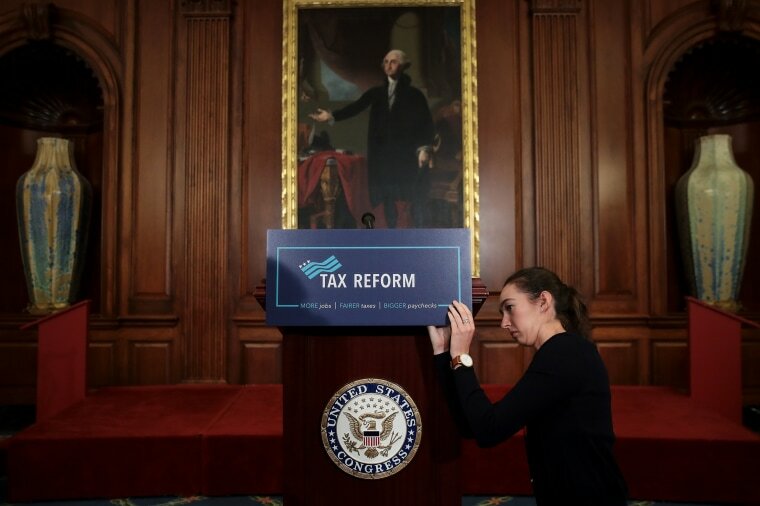 The need for tax reform is loudly supported by Democrats — or at least it was. For many Americans living on the coasts — or working in Silicon Valley or finance — the recession of 2008-2009 may seem little more than a distant memory. But for many other Americans, the last 10 years have been a lost decade, where the economy stumbled and opportunities declined. They suffered through stagnant paychecks, a lack of steady work and retirement that slipped further away by the day. Maybe you are one of the millions of American workers who feel this way. You deserve better. You deserve an economy that lives up to its potential once again: with more jobs, fairer taxes and bigger paychecks. That’s why we are working so hard in Congress to pass tax reform. Tax reform is our once-in-a-generation opportunity to replace an outdated tax system that holds our country back with one that actually works for you. It’s the single most important thing we can do today to get the economy moving again. Just consider how the current tax code holds us back. First, it imposes tax rates that are too high. Second, it forces you to navigate a confusing web of schedules, deductions and penalties that many find impossible to comprehend — and the wealthy and well-connected find easy to exploit. Third, its incentives often make little sense — some even encourage companies to ship American jobs overseas. That’s wrong. Here’s what we want to do about it: Take more money out of Washington’s pocket and put more in yours. We think taxes should be lower, simpler and fairer for American workers like you. We want you to be able to keep more of your hard-earned money in your paycheck. Which is why we’re lowering tax rates, doubling the standard deduction and increasing the child tax credit. We want to promote fairness by eliminating loopholes for the wealthy while preserving core middle-class incentives that help American families buy a home or donate to charity. We also want to simplify your taxes so they are easier to understand and file. In addition, we think taxes should be reformed to make it easier to keep jobs in America. We want American companies and the workers they employ to compete and win in today’s global economy. So we’re leveling the playing field against foreign companies. We want to bring jobs and profits back to the U.S.A., so we're ending the perverse incentives that help keep them offshore. We want to unleash the potential of American enterprise to create more jobs and keep more of them here. These are the goals of tax reform. They have traditionally been bipartisan. Here in the Senate, the need for tax reform is loudly supported by Democrats — or at least it was, until the last election. Now, Democrats are under pressure from the left to oppose just about everything President Donald Trump touches — even ideas they themselves used to promote. This has sent Democrats scrambling for nearly any kind of excuse to oppose a tax-reform effort that fights corporate offshoring, eliminates loopholes for the wealthy and cuts middle-class taxes. Tax reform is our once-in-a-generation opportunity. It’s the single most important thing we can do today to get the economy moving again. So Democrats are in a tough spot. We understand. But the excuses we’ve heard to oppose tax reform are just wrong. Some Democrats have even tried to attack these commonsense proposals by predetermining the details of a final tax bill that has not yet been written. So they can pretend this effort is something it is not. Let's be clear: This effort is not about cutting taxes for some fat cat. It’s about helping American workers like you keep more of the money you earn in your pocket. It’s about helping companies drive the economy forward and invest in employees like you through wages and growth. Tax reform has been a bipartisan effort before. It can — and should — be a bipartisan effort again. All it will take is for our Democratic friends to continue supporting the very ideas they supported until Trump came along. I hope they will work with us in a serious way to get this crucial reform accomplished for our country — especially for the millions of Americans who’ve had a terrible go of it the last 10 years. You deserve an economy that reaches for its true potential again. Passing tax reform is critical to getting us there. We in Congress will be working hard to get it done. 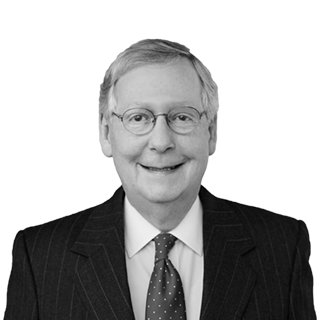 Senator Mitch McConnell is the senior Republican senator from Kentucky. He has served as Senate Majority Leader since 2015.